Written during the last years of her life when she was fighting cancer, the first Catalan edition of this book, Raó del Cos, was published two years after her death. Faced with death she opens a dialogue between life and poetry, the ephemeral and the eternal, marked by subtle images and a language moulded by her feminism. Dealing with love, illness and death, The Body’s Reason is a book full of poetic energy. 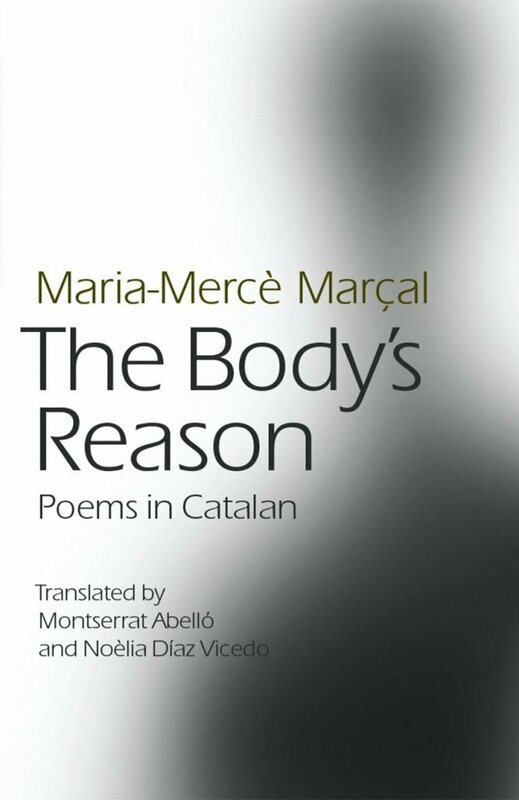 Maria-Mercè Marçal (1952–1998) was a poet, feminist, political activist, essayist, translator and critic. Her collections of poetry include Cau de llunes (Den of Moons), which won the prestigious Carles Riba Prize for poetry in 1976, Bruixa de dol (The Mourning Witch), published in 1979, Sal oberta (Open Salt), Desglaç (Thawing) and Terra de Mai (The Neverland) published in 1982, which was the first description of lesbian love in Catalan literature. She died in Barcelona on 5 July 1998 of cancer at the age of 45. Raó del cos was published posthumously in 2000. Montserrat Abelló i Soler is a poet and translator. Her books include a collected edition of her poetry, Al cor de les Paraules – Obra poètica l963–2002, and Cares a la Finestra – 20 dones poetes de parla anglesa del segle 20, translations of twenty women poets writing in English in the twentieth-century, including Sylvia Plath. She has received several awards for her work, including one for her translations of Plath and, in 2008, the Premi d’Honor de les Lletres Catalanes. Her collection, Fifty Love Poems, is being published at the same time as The Body’ Reason. Noèlia Díaz Vicedo is a poet, translator and researcher of women’s literature and feminism. She has published poems in the magazines Quadern de les idees, les arts i les lletres and Corresponding Voices, and in an anthology of young women poets in Catalan Donzelles de l’any 2000. She has translated the poetry of Marçal and Chilean poet Carmen García Palma into English and is a co-editor of the magazine Alba Londres. Culture in Translation.